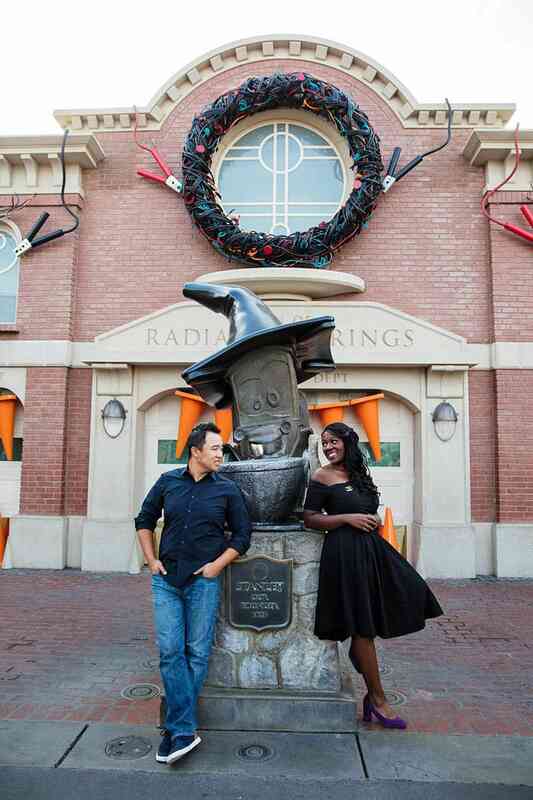 Disney has always played an important part in the lives and relationship of Erin and Jimmy. 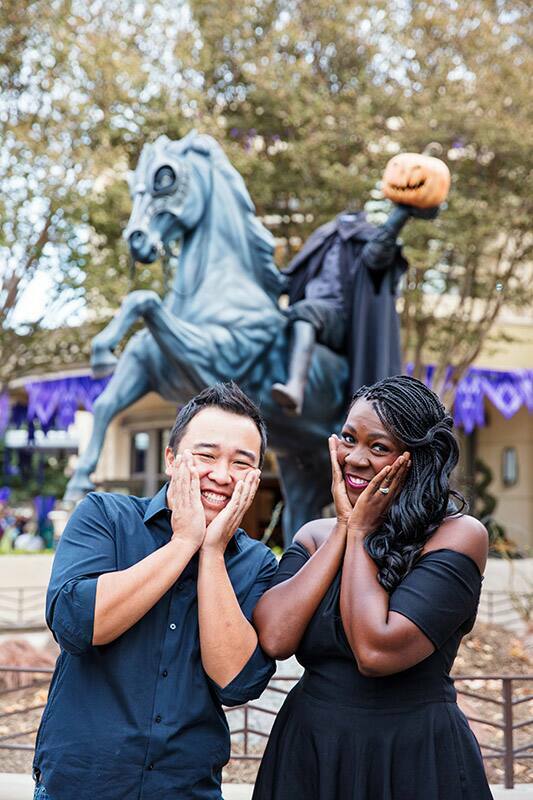 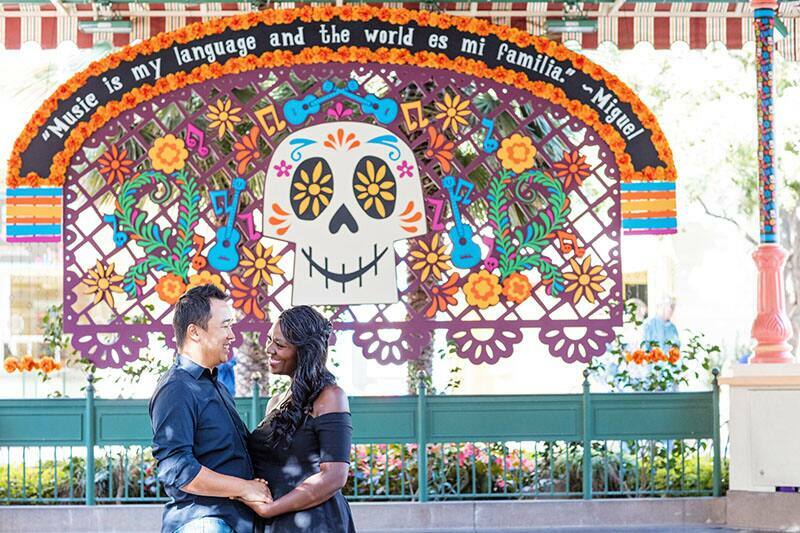 From weekly dinner dates at Disneyland Resort to participating in runDisney events together, they describe themselves as a couple that "does Disney". 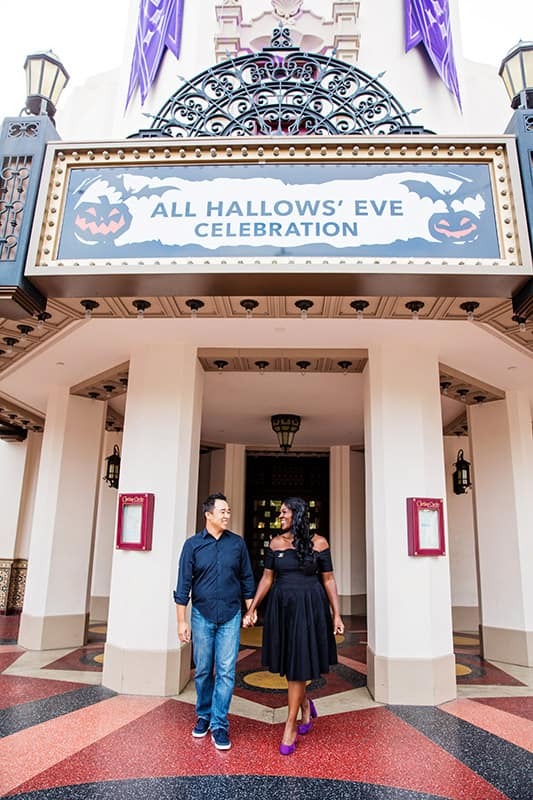 One important tradition they have always shared was celebrating birthdays, anniversaries and special occasions at Steakhouse 55 at the Disneyland Hotel. 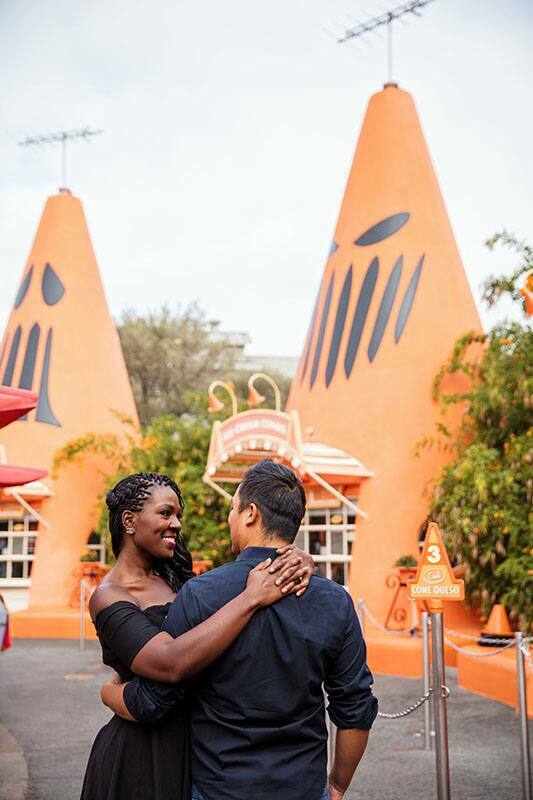 When it came to planning the perfect proposal, it only made sense for Jimmy to pop the question there too. 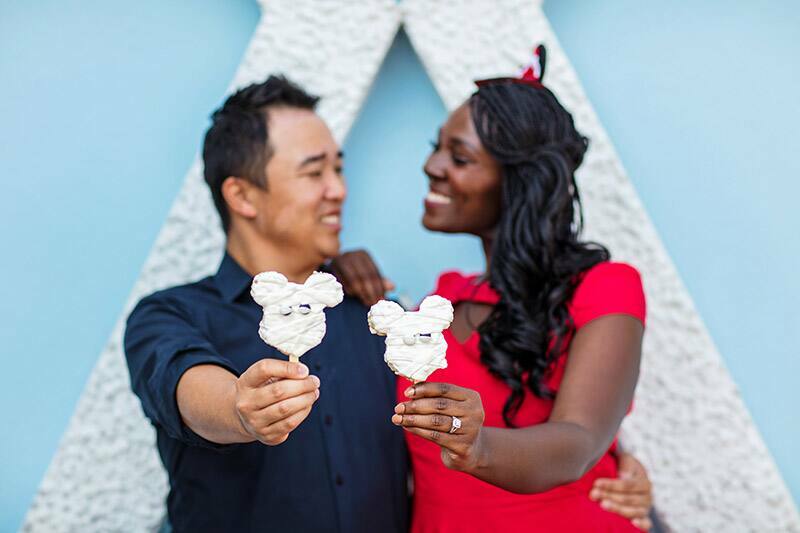 One evening while finishing up their dessert, Jimmy quoted the Princess and the Frog, Erin's absolute favorite Disney movie. 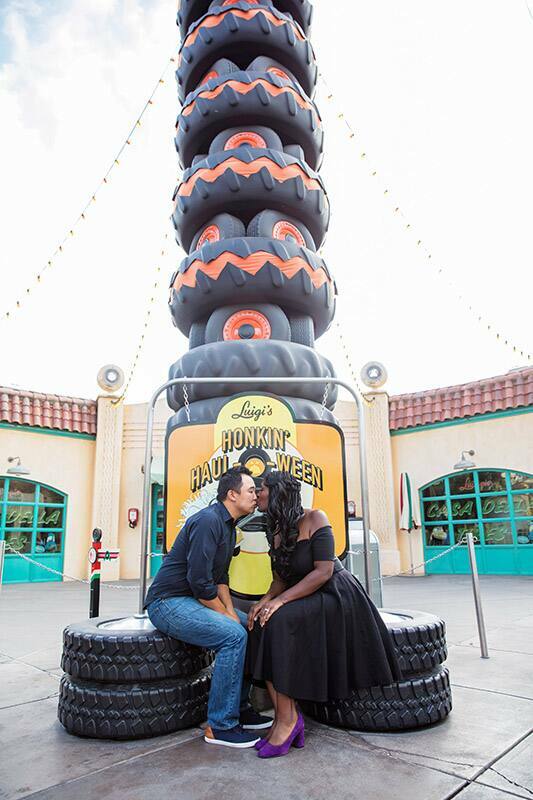 He said, "Erin, you are the best thing I never knew I needed", and asked her to "spend forever" with him. 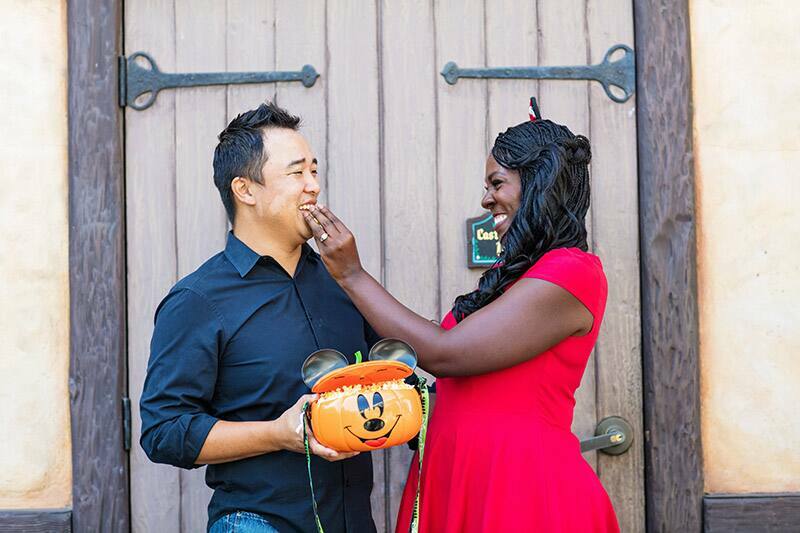 Erin said, "yes!" 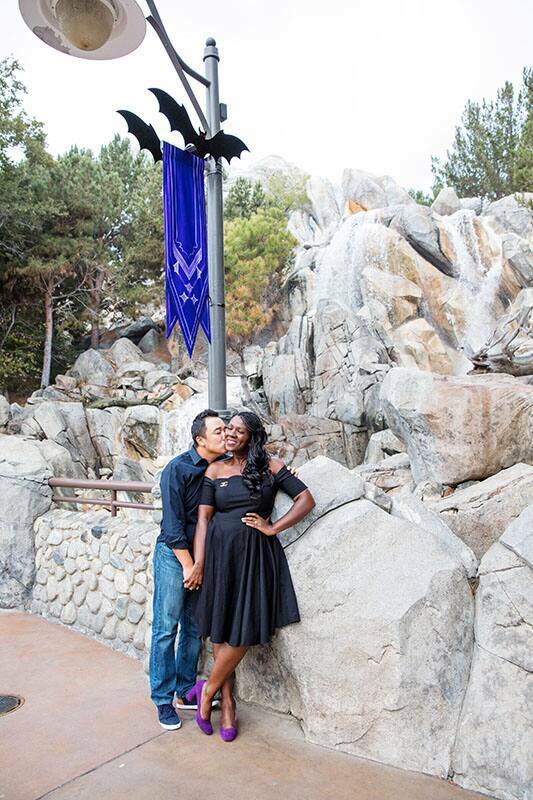 and together they enjoyed the fireworks as they celebrated the beginning of their happily ever after. 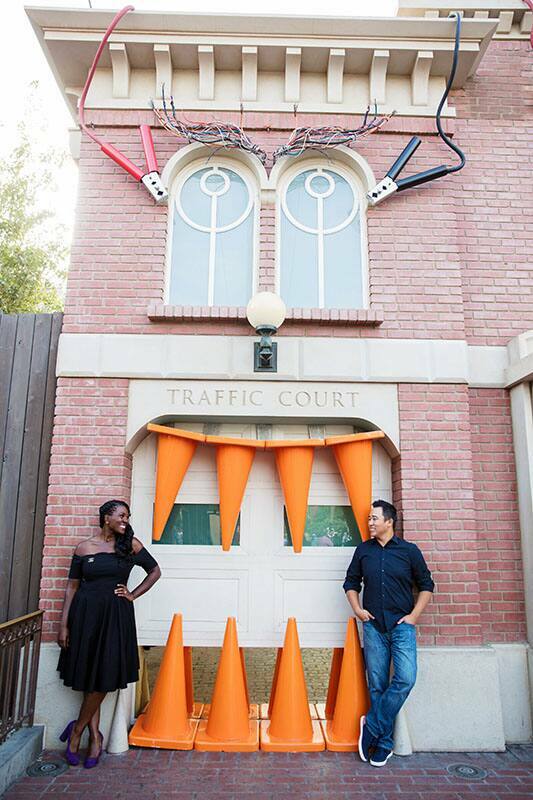 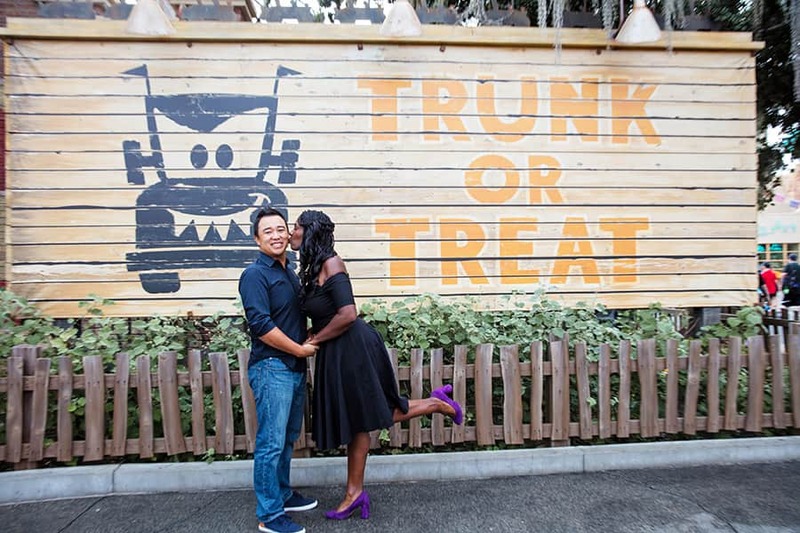 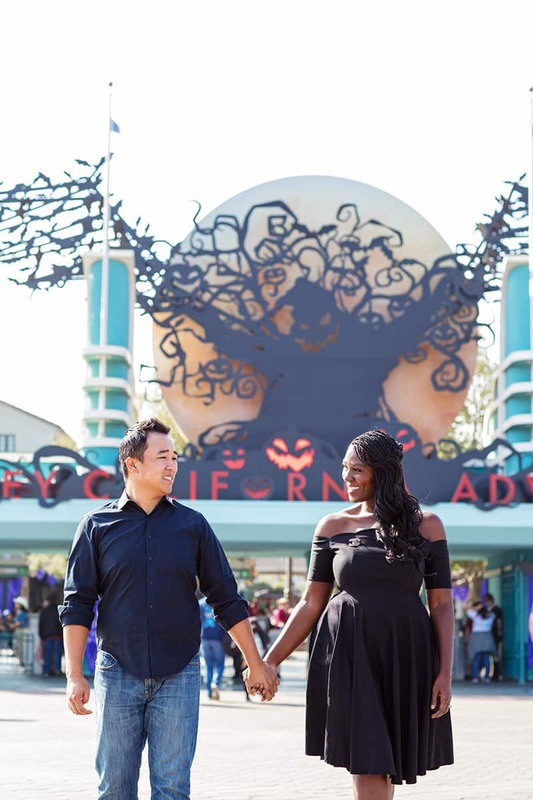 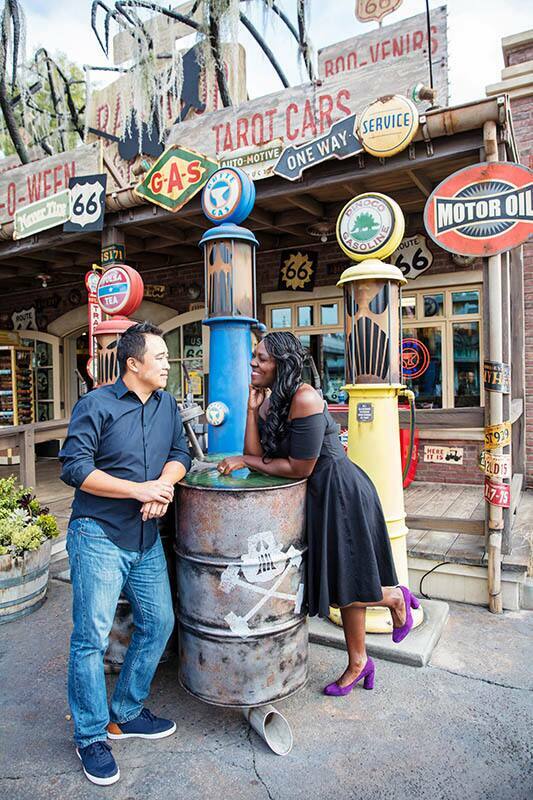 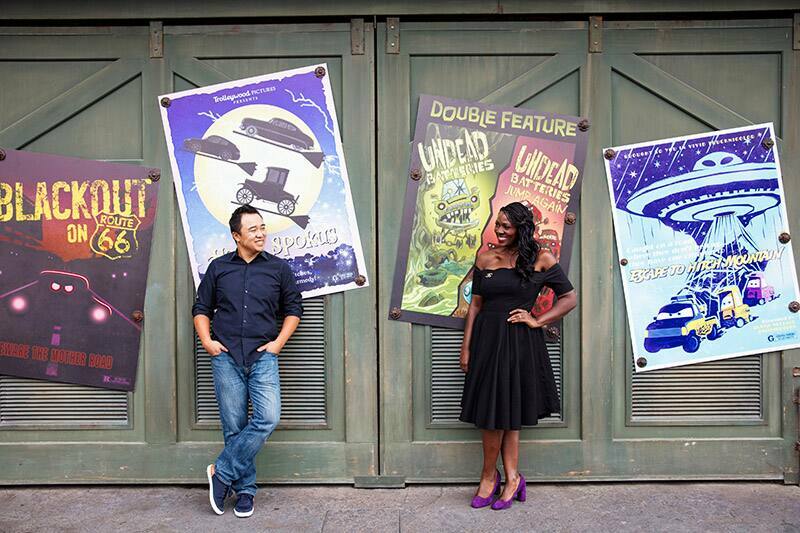 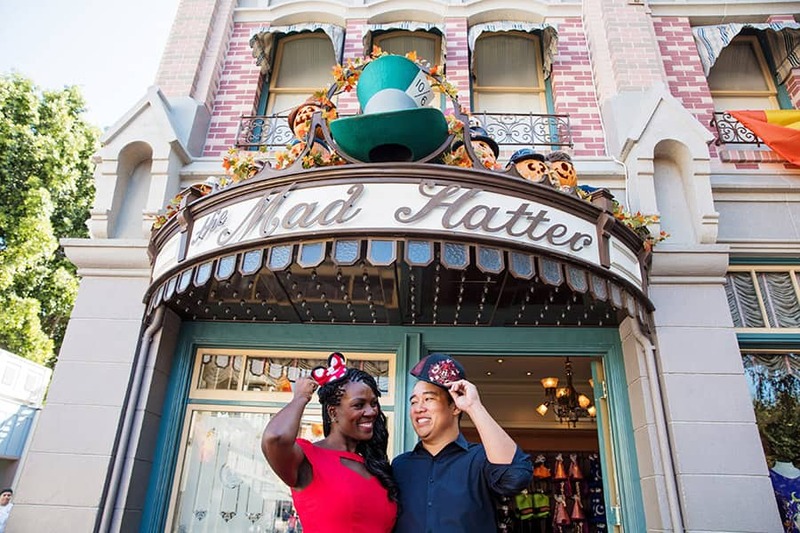 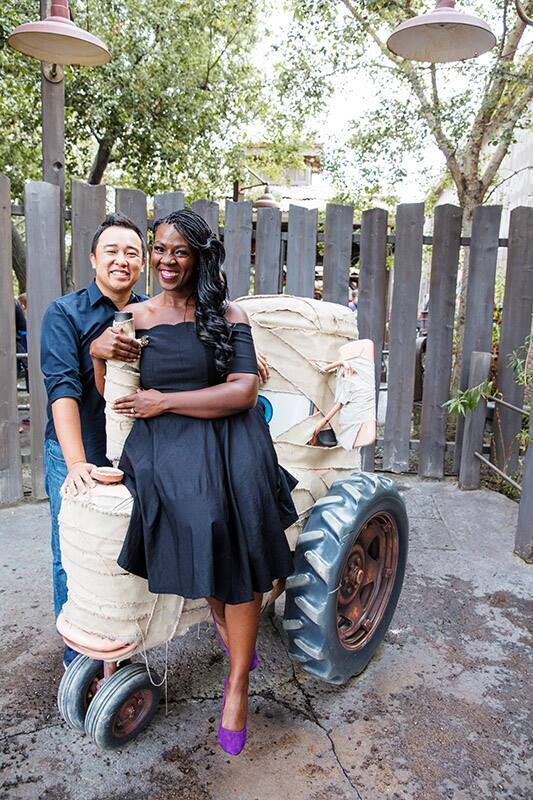 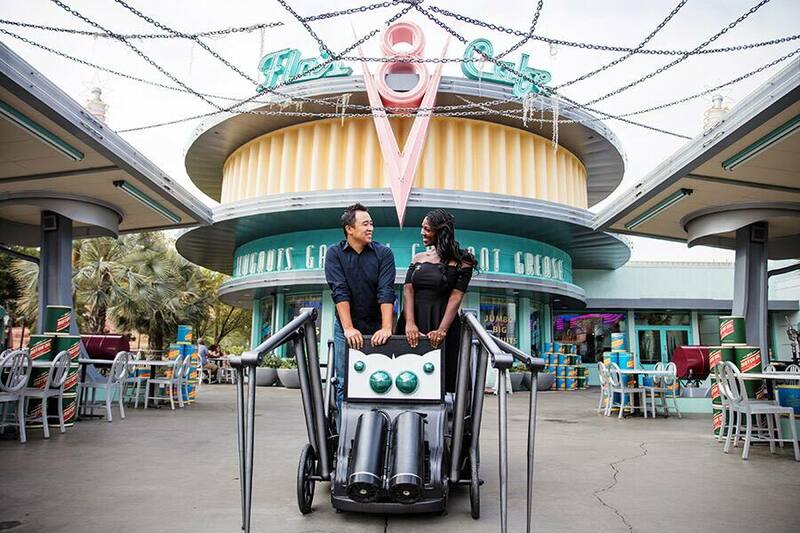 As if their engagement story couldn't get much better, the pair decided to visit Disney California Adventure Park the very next day for their engagement portrait session. 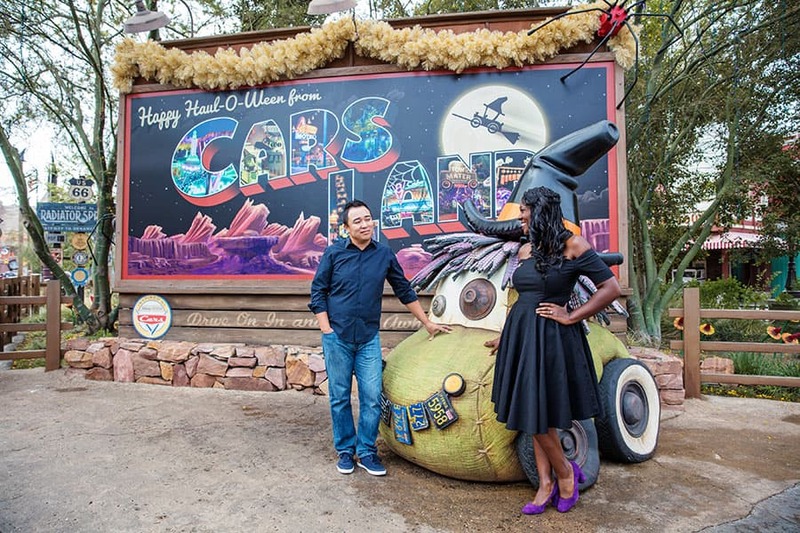 With the park decorated for the spookiest time of year, Erin and Jimmy ventured to Cars Land to enjoy "Haul-o-Ween" and throughout the park for some fun and unique Halloween themed photos.